Is the Pope Polish? Does a duck have lips? Does a bear sleep in the woods? These are serious questions that deserve answers; I decided to get those answers. Initially I had trouble researching the two questions concerning the Pope. Obtaining information about the current pope was easy, but none of the previous popes would return my phone calls. Then I found out why. Being pope is tough; it has killed every man who has ever held the job (except one). This is one thing we can’t blame on the women, because all popes have been bachelors. However, most did live longer than the average married man. But there must be some other perks we don’t know about (besides the spiffy hat and robes), because only one pope has ever quit and he’s the one still alive. So, to answer the question: Is the pope catholic? Yes, as far back as I can determine. Before that, who knows? Is the Pope Polish? Occasionally yes, usually no–enough said. Does a duck have lips? There are many different breeds of duck; so to make a blanket statement may be stretching the limits of generalization. Of course, unless it’s a down blanket, but we usually get down from a goose, except one friend who sprained an ankle while getting down from a horse. All that aside, I have personal experience to back up the answer–no, they don’t. I know this to be true because whenever my duck buys lipstick she always has them put it on her bill. Does a bear sleep in the woods? First I had to eliminate the bears in the zoos. They really don’t have too much choice unless they surrendered voluntarily. Who knows, some of them may have. How can you beat it? They bask in the adoration of their public, and get three square meals a day plus the occasional tourist that climbs the fence and jumps into the compound. Next I had to be sure that I was including all known species of bear. This does not include the koala, which is not really a bear, but basically a raccoon on tranquilizers. 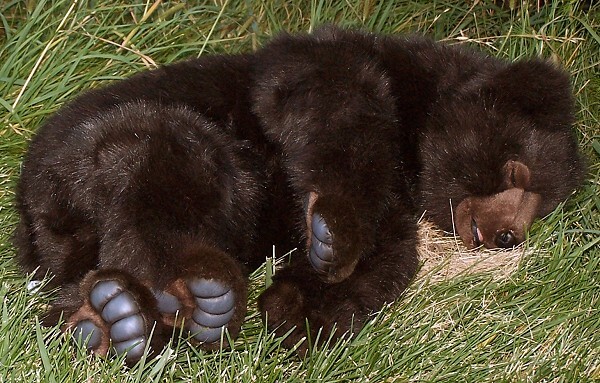 The answer to “Does a bear sleep in the woods”: Yes, unless it’s a Polaroid or Kodak bear, which sleep way far up in Alaska with no woods nearby, just a film covering the frozen tundra. I have questions of my own. A friend owns a business on Old State Route 279 and I asked him, “Where is New SR 279?” He told me there is none, when they rebuilt SR 279 they renamed it SR 260. So I wondered why they call his road “Old SR 279?” We could only deduce that certain roads are considered old if they have passed the retirement age. I know that people, being as they are, will think of many new questions in the future. An example may be: “Does a mega-byte?”, but I hope that they do their own research up front so that I don’t have to.